The important and known IT company from South Korea, Samsung, is reportedly accepting cryptocurrency payments in three different countries. Indeed, customers from Latvia, Lithuania and Estonia will soon be able to buy Samsung smartphones, and other products, using different cryptocurrencies. In order for Samsung to start accepting cryptocurrency payments, the company had to sign a partnership with the Lithuania based company known as CopPay. The information has been released by CopPay on July the 20th, and they informed that Riga, Tallinn, Vilnius, and Kaunas will be the first cities accepting these crypto payments. There will be different currencies accepted, including Bitcoin (BTC), Litecoin (LTC), Ethereum (ETH), XRP, Dash, NEM (XEM), and Steem. 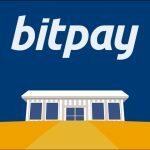 In Lithuania’s capital, there are three Samsung shops that will start accepting cryptos for its products. Back in January, Samsung informed that it was going to enter the blockchain and cryptocurrency world by producing ASIC miners. At that moment, companies like Nvidia or AMD registered important profits after the impressive bull run in the crypto world. The company is trying to enter the mining industry to fulfill an increased demand for these products. Furthermore, later in April, Bloomberg reported that Samsung was working with blockchain technology to track global shipments that are worth tens of billion dollars. By implementing distributed ledger technology, it would be possible to reduce as much as 20 percent. These are very important news for the cryptocurrency world. The famous virtual currency has increased its price $1,000 in just an hour some days ago. And it moved from $6,700 to $7,400 dollars. 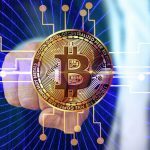 According to Thomas Lee, Fundstrat Global co-founder said that important news like MasterCard working with blockchain technology and cryptocurrencies helped the price of Bitcoin spike in a very short period of time. With the latest news from Samsung, Bitcoin could keep the steam growing. The three Baltic countries are very important for the virtual currency and blockchain world. Why? Because there are several companies, ICOs, and projects that are located in this region. For example, Estonia has a very open country for cryptocurrencies and distributed ledge technologies. Indeed, Kaspar Korjus, managing Director at e-Residency in Estonia, explained that the government had the interest to develop a local crypto known as Estcoin and launch it through an Initial Coin Offering (ICO). Latvia and Lithuania are also very open to the crypto world. Both countries are hosting important crypto-related projects that have been growing in the last months. Furthermore, it has a very active society in the market and proposals that are improving the general ecosystem. This partnership between Samsung and CopPay shows that the Baltic states are ready to embrace these revolutionary technologies and keep improving the life of people living in these countries.